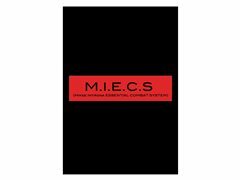 MIECS (Mikee Introna Essential Combat System) is looking out for martial artists with experience and not, for teaching this new combat system all around the world. A style of martial arts that makes you able to defend yourself and who you care about in a short space of time practising. Created by Master Mikee Introna Michele who has been studying martial arts since 1983; this martial arts form doesn’t need strength or speed. The basics of “M.I.E.C.S.” is to use the essence of martial arts which is approachable by all kinds of people: any age or gender, any weight or body shape. It is useful in every circumstance, any terrain, and wearing any kind of clothing. M.I.E.C.S. also includes the studying of weapons (knife, Sticks, gun, shotgun etc) and objects available at the time in an “every day” environment (ESCRIMA) such as umbrellas, newspapers, bottles, pens, phones, chairs etc. All of this can be learnt in a short time frame whilst also getting healthy, more confident, shaping your body and most of all, fighting off your worst enemy.. PANIC! This is a simple and straight forward advert. No action photos needed to get straight to your heart! Get in touch soon for classes and private lessons with Master Mikee Introna Michele and become a MIECS instructor soon. Change your life immediately because defending yourself and teach the others to do it is not just a right, it’s a DUTY! Instructors will be recognized with a regular teaching license after the training hours.